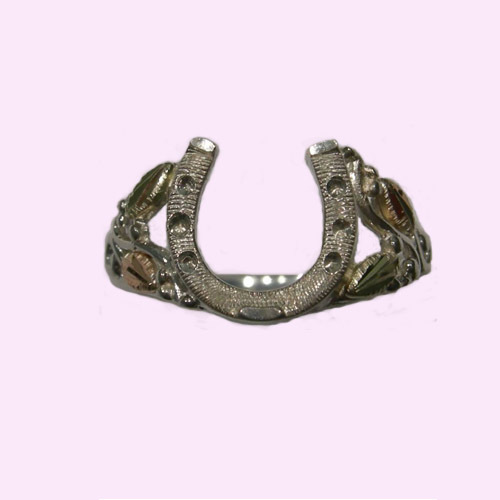 Desc: Landstrom's Black Hills Gold Sterling Silver horseshoe ring. 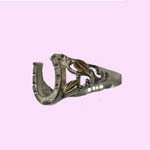 The grape and leaf pattern are on the sides of the ring. The design is open between the leaf pattern on the sides. Made in the United States of America.